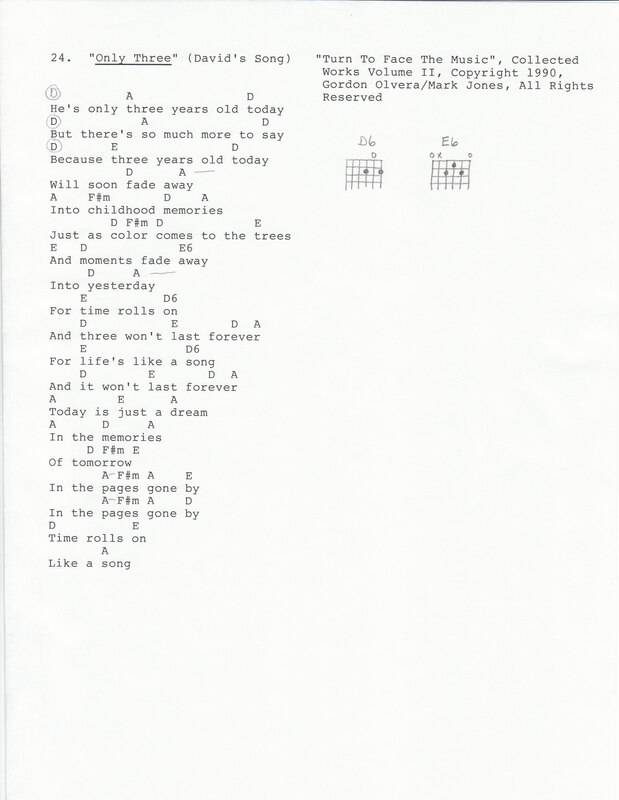 Only Three (David’s Song) is a short, simple, soft and touching little song I wrote on our son’s third birthday in early 1990 – David’s 26 now – so you can see how quickly time flies by! It’s one of my early works as I only started writing songs in the fall of 1989, and captured the sentimentality of watching our young son growing up before our very eyes. Back in 1990 I wrote “Today is just a dream, In the memories of tomorrow, In the pages gone by…Time rolls on, Like a song” – only ‘tomorrow’ has now arrived! As with a number of the early songs I wrote, I was at the time working with my friend Gordon Olvera to try to give voice to my songs – and I’ve shared the copyright credit with him. Enjoy!